The Meeting was chaired by Mr. Sandeep Kumar, Commissioner (Customs), Central Board of Excise and Customs (CBEC), Government of India, and co-chaired by Mr. Diwesh Sharan, Deputy Director General, South Asia Department, Asian Development Bank (ADB). 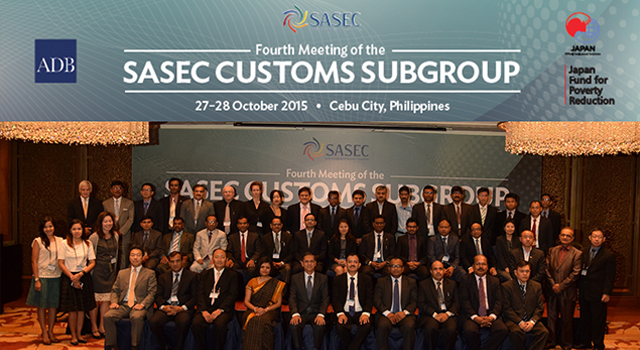 Participants included heads and senior officials of Customs administrations of SASEC member and observer countries. Heading the delegations were: Mr. Md. 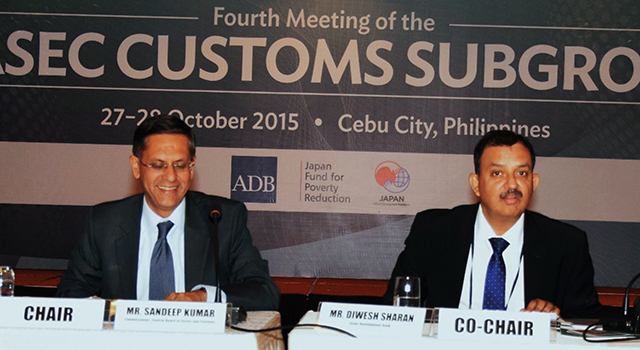 Firoz Shah Alam, Member, Customs, National Board of Revenue, Ministry of Finance, Bangladesh; Mr. 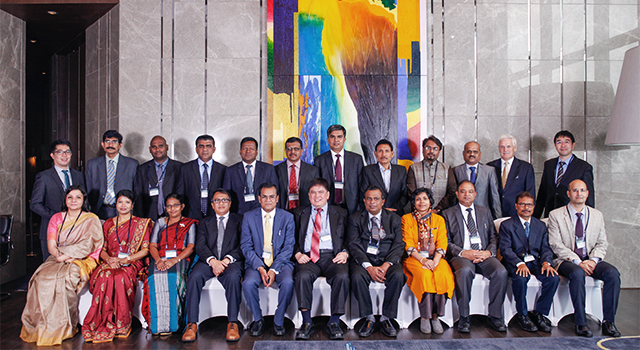 Karma Loday, Collector, Revenue Accounts and Audit Division, Department of Revenue and Customs, Bhutan; Mr. Sandeep Kumar, CBEC, India; Mr. Abbas Adil Riza, Commissioner General of Customs, Maldives Customs Service, Maldives; Mr. Sisir Kumar Dhungana, Director General, Department of Customs, Tripureshor, Nepal; and Mr. K.N.L. Fernando, Deputy Director, Sri Lanka Customs, Sri Lanka. A delegation from Myanmar attended as Observers, led by Mr. Kyi Oo, Director, Kyaukphyu Special Economic Zone, Customs Department. Mr. Kazunari Igarashi, Head of WCO Asia/Pacific Regional Office for Capacity Building also participated in the meeting. 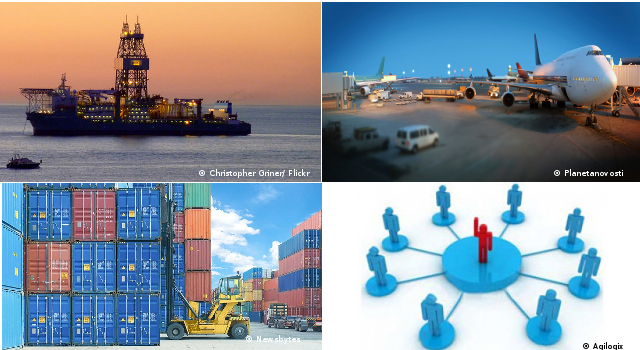 A Learning Event on Customs Operations in Special Economic Zones (SEZs)—which is becoming a key element of economic corridor development strategy for the SASEC subregion—was held on 27 October 2015 at the Philippine Economic Zone Authority (PEZA) office at the Mactan Economic Zone (MEZ), located in Lapu Lapu City, Cebu. High-level officials of the Philippine Bureau of Customs (BoC), PEZA, MEZ and private sector locators in the MEZ delivered presentations which focused on the close cooperation between BoC and PEZA authorities in facilitating Customs operations at the MEZ. 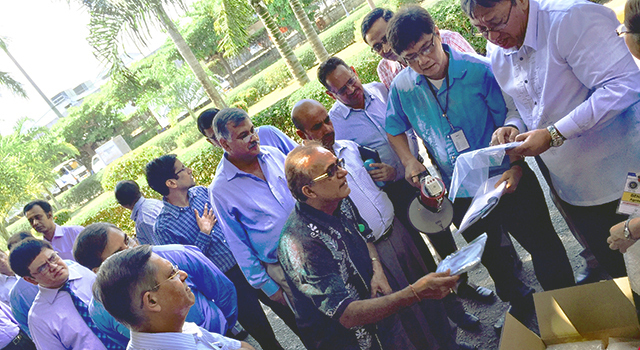 A live demonstration of the Customs IT system used at the MEZ was also given. The Fourth SCS Meeting and Learning Event were financed by ADB, under the ADB-administered regional technical assistance from the Japan Fund for Poverty Reduction. 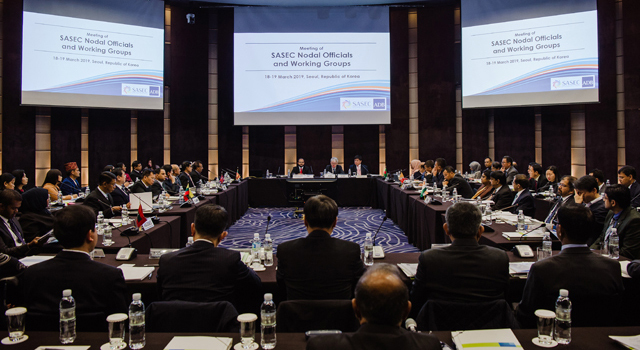 It was organized by the SASEC Secretariat and supported by ADB staff and the World Customs Organization.